Florida has more indoor marijuana grow houses than anywhere else in the country, according to the U.S. Drug Enforcement Administration. Operations have been detected in almost every Florida county over the last several years. Over the last 10 years, authorities have seized millions of marijuana plants valued at billions of dollars, and more than 10,000 people have been arrested on related charges. While cultivation of marijuana is generally a third-degree felony, operating a grow house for purposes of selling the plant is considered trafficking, and a conviction may result in up to 30 years in prison, depending on the size of the operation. 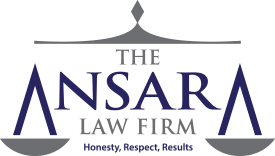 The Fort Lauderdale marijuana defense lawyers at The Ansara Law Firm, understand the seriousness of such allegations. We also know there are a number of workable defenses for the accused. Each of these defenses is available under the Fourth Amendment’s protection against unreasonable search and seizure. These are some of the most effective defenses in terms of having evidence suppressed or charges dismissed in a Florida grow house case. Still, there are a myriad of other defenses potentially available under other statutory provisions. The exact strategy will depend on the individual circumstances of the case. One of the most essential tools prosecutors have in marijuana grow house cases is the 2008 Marijuana Grow House Eradication Act, signed amid an increasing number of these operations cropping up around the state. Lawmakers increased the threshold for marijuana grow houses, making it a second-degree felony to grow 25 or more plants. The previous number was 300. A second-degree felony carries a possible maximum prison sentence of 15 years. The law also made it a third-degree felony (punishable by up to five years in prison) to own, rent or lease a home for the purpose of growing, packaging or distributing cannabis, and a first-degree felony for growing more than 25 plants in a home with children present. Before this law was passed, prosecutors were hard-pressed to get long prison terms for people caught growing dozens of plants. That’s no longer an issue. What’s more, if a person is charged with trafficking in cannabis, it is considered a first-degree felony, which carries a minimum mandatory three-year prison term, with the possibility of a 30-year term. In order to be charged with trafficking – the most serious of these charges – there must be at least 300 plants involved. One might seek to avoid the most serious of these penalties by asserting the purpose of growing the plant was not for distribution or sale. In order to prove this, one needs to show the cannabis was intended for personal consumption and/or medicinal purposes. Although there is, as of yet, no legally acceptable reason to grow marijuana in Florida, it is considered less of an offense to grow it for one’s own use than to grow it for profit. While police rely heavily on insider information in these cases, one of the other biggest red flags is electricity. Law enforcement officials are well aware of the fact marijuana grow operations require two to three times as much electricity as the average residence. Some growers bypass this attention by stealing the energy from other sources. However, because residential grids aren’t often equipped to manage the high amount of power needed for these operations, fires often occur and can lead to arrest following an investigation by fire officials. Another possible indication is the smell, which is often quite powerful. However, smell alone is not a strong enough basis to grant a warrant, courts have ruled. Some other good news for defendants: Since 2001, with the U.S. Supreme Court case of Kyllo v. United States, law enforcement is not allowed to use thermal imaging devices in their investigations into suspected grow house operations. Prior to the Kyllo ruling, this was a primary tactic employed by investigators in these cases, as heat from high-intensity lamps often used by growers is considered a key tip-off. The U.S. Supreme Court, however, determined the use of these sorts of devices – not in general public use – to probe into private homes to learn information that would not otherwise be obtainable without physically entering – is a presumptively unreasonable search, unless there is a warrant. Officers do, however, have their ways around this requirement. They may seek an informant. They may stake out a property, waiting patiently for a car carrying the cannabis to leave before stopping that vehicle on a minor traffic violation. They will knock on the door, ask to talk to the residents and push for a confession. We generally advise people faced with law enforcement presence to decline a search without a warrant and decline a discussion with police absent an experienced Fort Lauderdale defense attorney. Knowing these basic rights can help preserve your future.